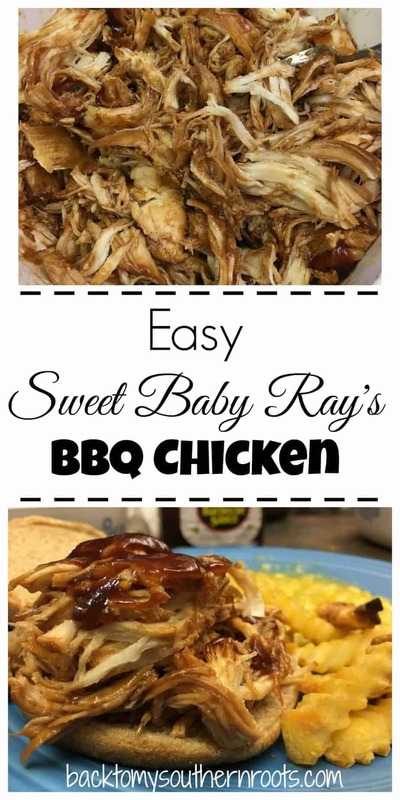 I’m always on the lookout for easy meals to cook for dinner, and Sweet Baby Ray’s barbecue sauce made it happen for me. I tend to buy meats that are on sale, and chicken and ground beef seem to always have the lowest prices, so that’s what we end up eating a lot of during the week. The only problem with buying so much ground beef and chicken is that everyone gets tired of the same old, same old. Believe me, I hear about it. Adding some BBQ sauce is a great way to add a spin on the everyday. I grabbed a bottle of Sweet Baby Ray’s Honey Barbecue Sauce, some chicken breasts, butter, water, and a slow-cooker. 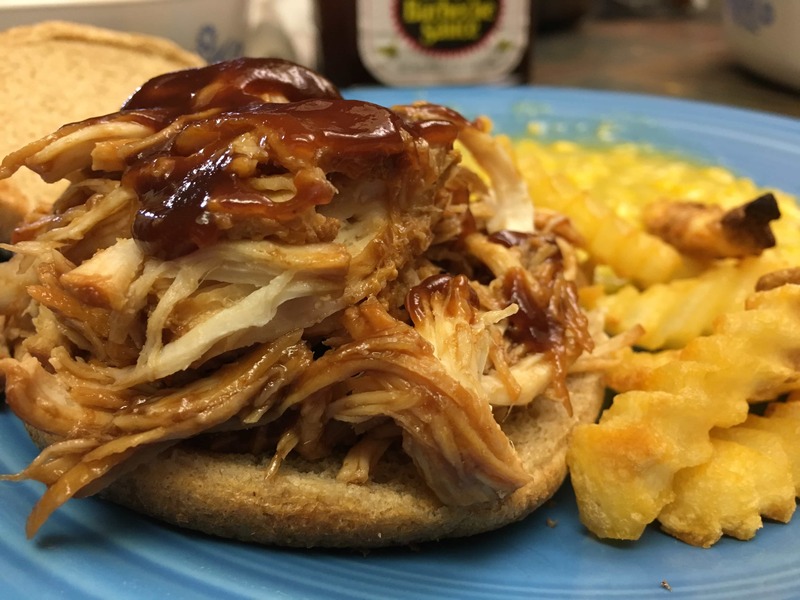 And in a few short hours, we had some easy chicken barbecue sandwiches. It’s a simple recipe that you can make while you’re at the ballgame, school, or work. Once you get home, it’s ready to go. Add the chicken breasts to the slow-cooker. Pour the water into the slow-cooker. Add the butter to the slow-cooker. Pour 14 oz. of the barbecue sauce over the chicken. Set the cooker for 6 hours on medium heat. Once the timer goes off, remove the chicken. Place the chicken in a bowl and shred it with a fork. Pour the remainder of the barbecue sauce over the chicken and stir to coat. (If you want a smaller amount of barbecue sauce, add the amount you desire). If the chicken has cooled off, pop it in the microwave for a minute. Eat it alone or on a toasted bun with a side of corn and fries.